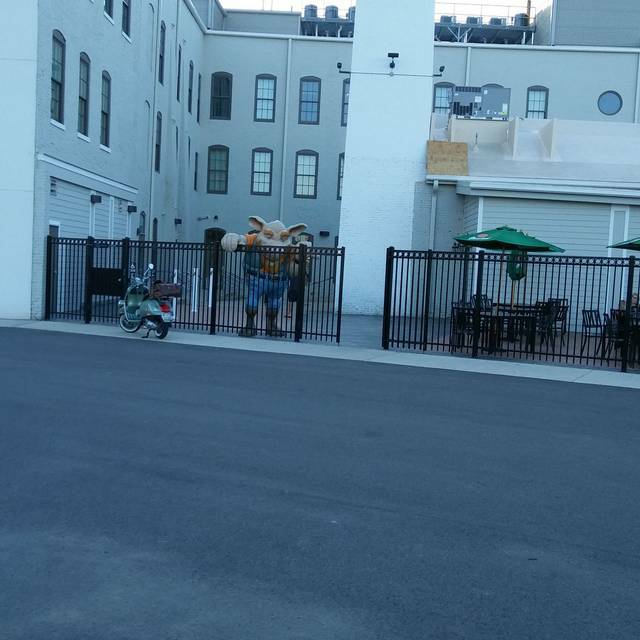 You must make reservations at least 5 minutes in advance of the time at The Troll Pub at the Wheel House. 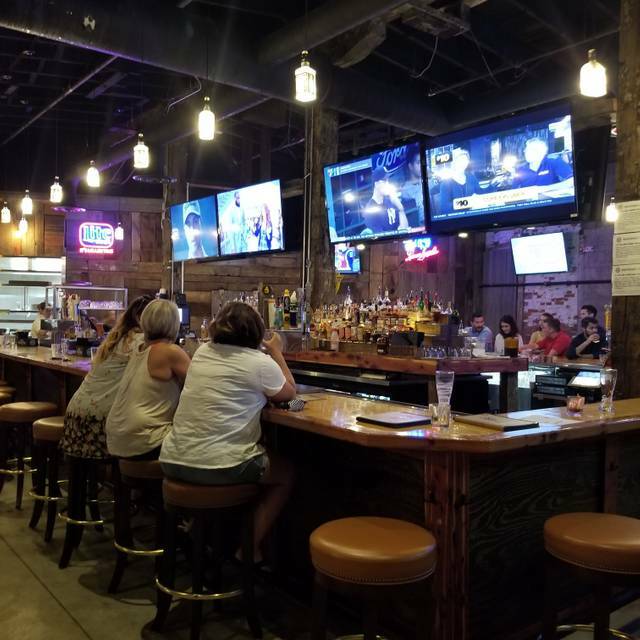 Welcome to The Troll Pub - Dayton! The Troll Pub is a unique dining experience that features a Gastro-pub style menu with a wide selection of great tasting food items, craft beer, and an atmosphere like no other. Gosling's Ginger Beer is a refreshing, zesty soft drink by itself. Gosling's Stormy Ginger Beer, its official name, took well over a year to formulate. "We needed to hit the perfect balance between sweetness and spiciness, " explained Malcolm Gosling, 7th generation President of the renowned rum maker, Gosling's Export (Bermuda) Limited. "Our objective was to create a ginger beer that, when paired with our award winning Black Seal Rum, would produce the absolute perfect Dark 'n Stormy"
This dry-hopped ale combines carmel and biscuit malt flavors in happy equilibrium with late addition American hops. The approachable balance is intentional although the name is "hoppy accident"
Had individual 4 meat pizza with mushrooms added; delicious! Nice place to go just was expecting the ambiance to be different being that it’s called Troll Pub. Still was very nice and will be returning. Had a great time. We made reservations, but when we arrived a sign was up..."seat yourself". No one was around to ask, so we just walked on in. Our waiter was super fun and knowledgeable about the menu. Order came quickly and well prepared. We will return and bring friends. Being able to make reservations was great! Even though it was crowded, the tables were spaced out so you can have a conversation without hearing your neighbors!! Food and service were just okay during this visit. Looking forward to a better experience next time. If you haven't been here yet, go! It's a lot of fun. It was my first time here and I will be going back with a group of friends (it's a great place for something like that). Huge bar! Lots of bourbon. The food was good. Nothing truly out of the ordinary but good and a good price. It's going to be a great place to go in the summertime. I highly recommend this place. It was a crowded Saturday night so the noise was pretty high. The Reuben was great. I visited the Troll for lunch this week. It was my first time there and I stuck with menu choices that were the house specialities. Service was great, the dining room was a bit on the dark side, the lights above our table were out and if it had not been for a window above us and a sunny day, it would have been difficult to see to read the menu. I ordered the Troll burger and overall it was a lot of food and comparable to Red Robin as far as the quality of the food. I was not impressed with the saltiness of that burger, and the salad was a bit on the small side, but overall the meal was OK. I will return to try the soups and other menu items as one visit does not do an establishment justice. My wife and I enjoyed our dinner at the Pub. The food was very good and well presented. My only complaint was that our table top had such a slope on it that when you placed something on it, it could slide off the table. I about lost my drink due to this! Food was excellent. My Manhattan was good. Made with cinnamon which I had not had before. We had freckles which were very tasty. I had the Kentucky hot brown and my wife had the spicy chicken penne. Both were delicious. The server was very nice and attentive. Interesting and creative menu… cool surroundings! My husband and I and our son visited on a Friday around 5pm. The service was super slow. I had to ask multiple times for the same things. Our burgers were not cooked through. The pretzel and beer cheese was good though. The building is fantastic and interesting and the salted caramel pretzel bites are amazing! The Seating was a little cramped as well as the stools were uncomfortable. The food was great and the value was excellent. fix the seating and uncomfortable chairs and you'll have a perfect pub. The atmosphere was really interesting and welcomed you into the building. The size of the bar was enormous, and there’s plenary of seating. We went for dinner, and were surprised at how good the beer cheese and our dinners tasted. I recommend checking this place out if you haven’t gone before. We had great service and will be coming back again. 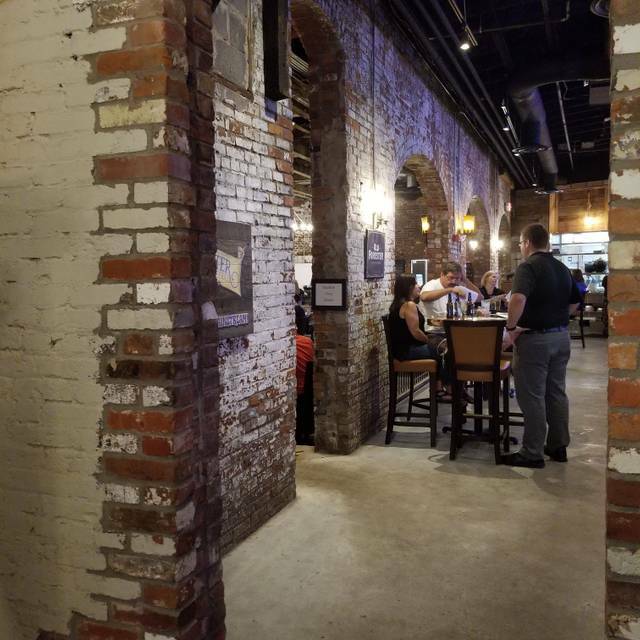 An historic building, great food and drinks. The Troll Manhattan and Old Fashioned are something special! Will definitely return! The restaurant was surprisingly big inside and not at all what I was picturing. Really neat bar and overall really cool dining space. Food was good, service wasn’t overly attentive but that was fine. Looking forward to trying lunch here sometime soon. This was our second time to the Troll Pub in Dayton. The experience was great both times. The service was good and there was a wide variety of food options. We will return again. Perfect in every way . Food was excellent. Service was excellent. Good food and great service! We had an excellent experience at our second time at this restaurant and will be back. This was our first time here and we really enjoyed it. The building is very cool, food was good and server was helpful. The avocado Cobb salad was excellent. The parking lot is a bit rough (as in potholes) but once inside it’s great. Awesome find. And with free on-site parking! This was my second visit. Happy hour prices is fantastic. I ordered the black bean and chicken quesadilla. It was good. However, was disappointed with the dessert. The brownie with ice cream. Ice cream was okay the brownie was very hard. I am not kidding. I stabbed it using with the knife to cut through it. The strawberry cider was awesome though. The whole ambiance was great with the whole Irish-theme. 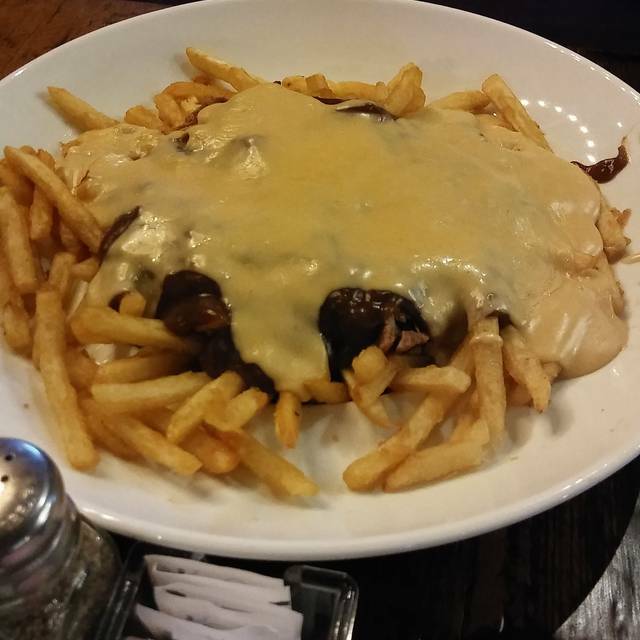 As for food, we got their take on Poutine for an appetizer, (fries, pot roast, gravy and beer cheese), it was incredible. 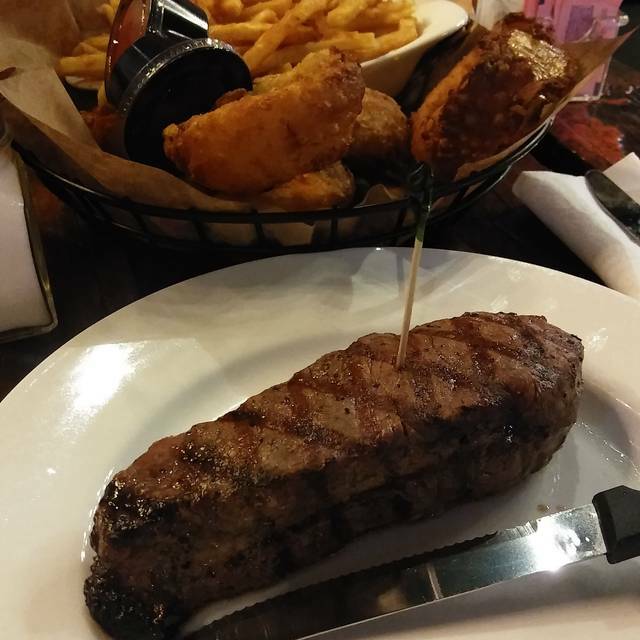 For the main course I had a huge NY Strip that was cooked to perfection. My wife had their take on a Turkey Hot Shot that was called a Kentucky Hot Brown...she said it was delicious. Both entrees had beer battered fries with them, but with all of the food in the appetizer/entrees we really didn't make much of a dent in the fries. There are a lot of things we still want to try, so we'll be back soon...like the Hard Root Beer Float, for one. The only critiques of the place I have was that our waitress was a little on the slow side, not terrible, just a bit slow. Second, at least where we were seated, the music was a little too loud to have a conversation near. The music they were playing was actually good, just needs to be turned down. Great food though, huge bar, party room and it is ADA accessible. Atmosphere is very nice and the food is tasty. Kentucky Hot Brown is delicious! This is a typical pub atmosphere, with a more rustic modern medieval look. Walking in you are greeted with a huge troll who beams a friendly smile at you. This was a friday night and I was glad to have reserved a table (albeit a cocktail table, which later bit me back for it). My wife and I were smoothly sat at our table and it wasn't long before we were greeted by our server and drink menus. After our server brought our drinks (mine was a on tap beer, a great stout though the name eludes me and hers just a pepsi), I ordered a app loaded pub fries and she a turkey avo salad. The salad was larger than my wife expected. The pub fries were typical pub fries like almost any other, but there were a LOT of them....so be warned, this is a meal unto itself so share...Oh, and they were delicious!! Excellent, combined with my stout. Being at a cocktail table, these fries took up nearly the entire top, though I still had room for my beer and my wife's food. I ordered something that I believe was called a southern comfort burger, though my wife still reeling from the salad abstained from an entree. This burger was a typical beef burger but the toppings were anything but...topped with caramelized onions and a healthy spread of pimento cheese...Now that took me back to my childhood of pimento cheese sandwiches...Already full from the pub fried and beer, I attempted to bash this delicious burger but could barely take more than five bites. The 1/3 pound burger was juicy not dry and the whole thing had a modest sheen of welcomed greasiness, the kind only found in a freshly cooked, very tasty pub burger. Did I mention the size of the app pub fries? ONe more important thing, this was a nice casual dining place, you don't feel rushed to leave, and the server I had was pretty attentive... I will be back...It was worth it!! Our third time already. We live downtown and they are quickly becoming one of our favorites! Our second time at The Troll Pub and it was awesome. Food and service were both much improved over our first visit. We’ll be back !! The Troll pub is a fun place. The service was excellent, tho we felt a little rushed. The food was okay. And it was noisy. If we go back it would probably only be for drinks. Big place with interesting details. Old timbers, nice brickwork. Despite a large crowd service was decent. Prices could have been worse. No whisky (scotch, none!) but plentiful bourbon. Bar menu but better than most. Our food was very good and I would definitely recommend going and will go back. The warehouse feel makes it a bit noisy. I had seen mixed reviews so my hopes weren't too high, but it sounded interesting. I believe they have worked out all of the kinks. They haven't been open very long but you can't tell now. The service was excellent. Our waitress was helpful with the menu and quick with the drinks. The food we had was delicious! We had the "Frickles", Poutine and I had a Ky Hot Brown. The guy that brought our food even took out all the calories for us!! What a guy. :) We had plenty of apps (first two) leftover. Everything was perfect. I'll go back. Enjoy! The atmosphere and the service were both great. I was really excited about the menu, everything looked amazing. Unfortunately, the fried pickles were extremely salty, though the dip that comes with it was great. I expected a juicy, delicious beer cheese burger, as that is one of their signature dishes. It was a prepackaged frozen deal, not flavorful. The beer cheese was just all right. The chili was pretty good, but I think that’s because everything else was underwhelming. Jimmy’s ladder 11 has way better chili. The chicken and waffle sandwich was just ok, a little dry. Leftovers were better bc my boyfriend made it into a platter dish w maple syrup. Overall I spent $75 (including a couple mixed drinks that were low on the alcohol content and tip) for something I found unsatisfactory. I probably won’t go back.